I received an unfamiliar email coming from Lola Techie. I was wondering if it was my sister or some spam mail. So I opened it and voila it’s from BAYAN telecommunications! It’s so sweet of them to remember their subscribers by sending them a Christmas message. 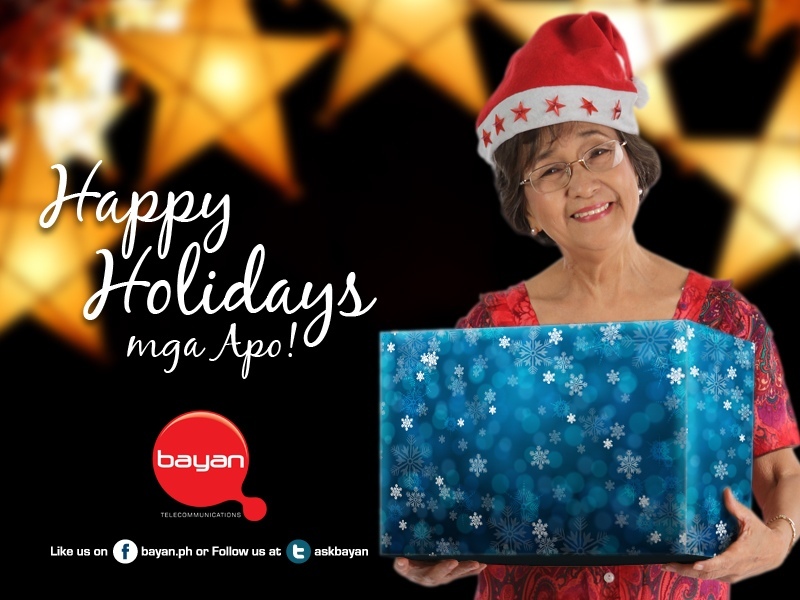 Though I hope they will actually send the gift Lola techie is holding. Hmmm, now I wonder what’s inside that box! ← Teaching your toddler how to count.